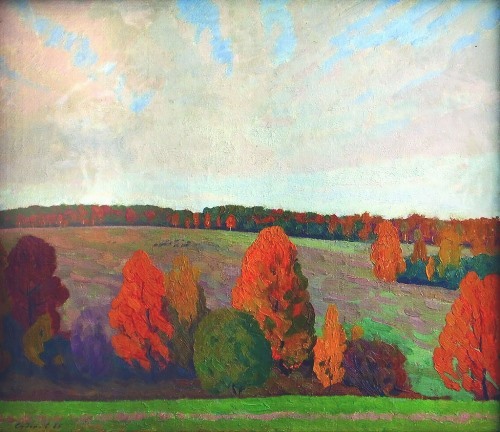 Soviet artist Valentin Sidorov (b. 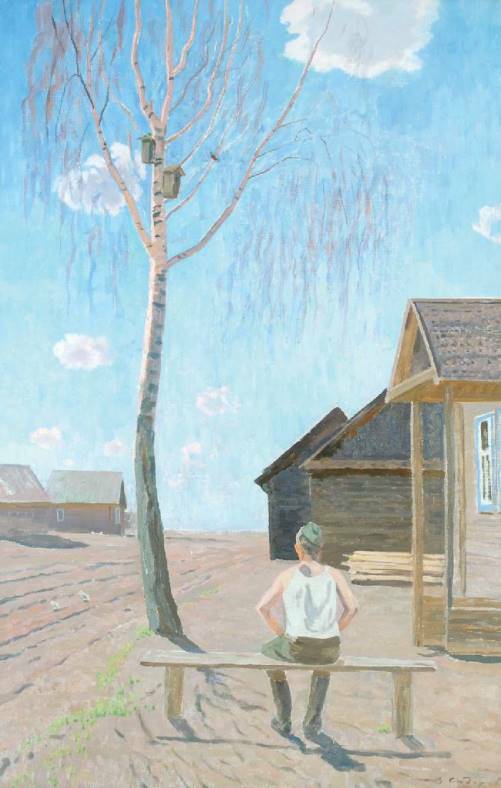 1925) – People’s Artist of the USSR, Member of the USSR Academy of Arts, member of the Presidium of the Russian Academy of Arts, Member of the Academy of Arts of Kyrgyzstan (1998). At the present time – a member of the Council for Culture and Arts under the President of the Russian Federation. A member of the Russian Writers’ Union (2001). Honorary member of the Academy of Arts of Uzbekistan (2004). Laureate of the State Prize of the USSR, the State Prize of Russia, was awarded the Gold Medal of the Russian Academy of Arts. 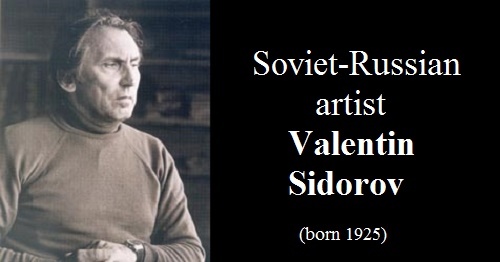 Valentin Sidorov – the artist of pronounced national character, whose work is closely linked to the Soviet Union and Russia. 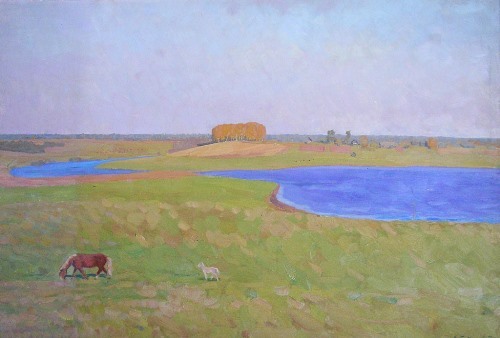 The subjects of his paintings (landscapes, still lifes) are simple enough. 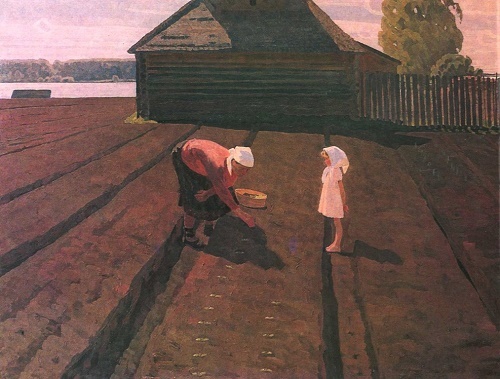 Many works are in the State Tretyakov Gallery, the State Russian Museum, the museums of the former Soviet Union. 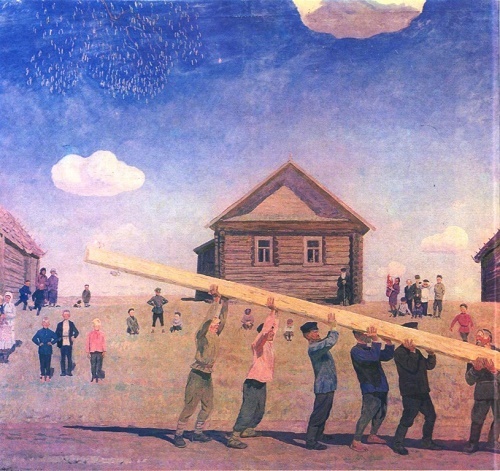 Valentin Sidorov – the constant participant of exhibitions of fine arts in Russia and abroad (Poland, Czech Republic, Romania, Italy, Japan, France, Britain, Germany, Serbia, Jordan, China). 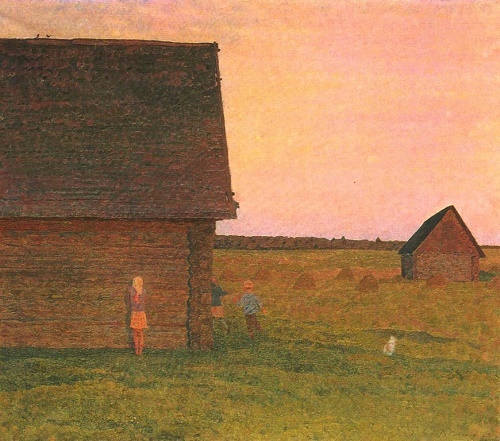 Valentin Mikhailovich Sidorov was born May 5, 1928 in the village of Sorokopenie of Tver region, the USSR. His great-grandfather and great-grandmother were serfs of Vice-President of the Academy of Fine Arts Prince G.G. Gagarin. The great-grandmother was a nurse of prince’s children. 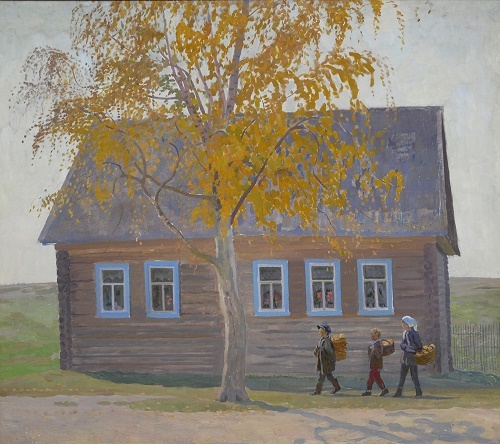 In 1936 the family moved to Moscow. 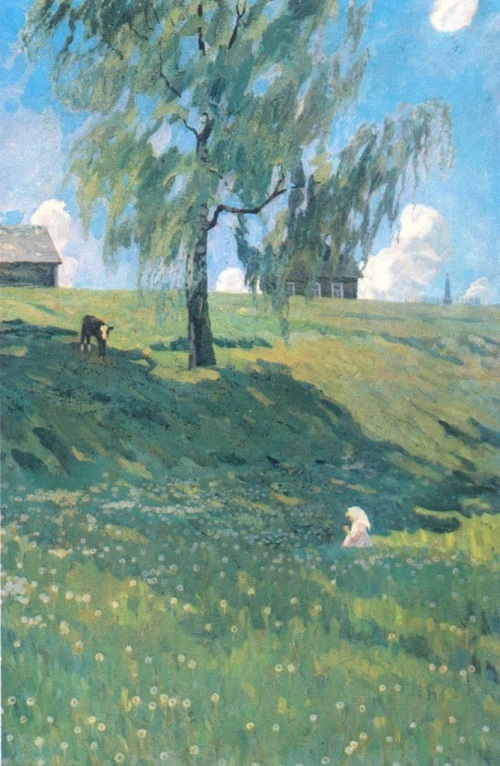 Valentin studied at the Moscow school, and in summer went to the village. He began drawing in early childhood. 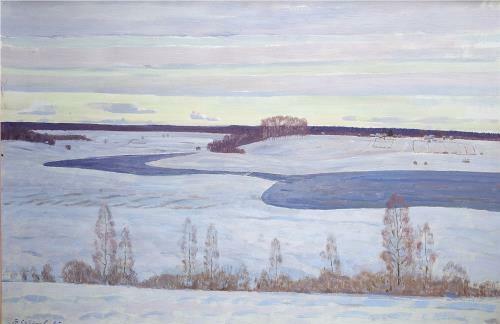 After World War II he entered the club of Fine Arts in Moscow House of Pioneers, headed by A. Mikhailov. 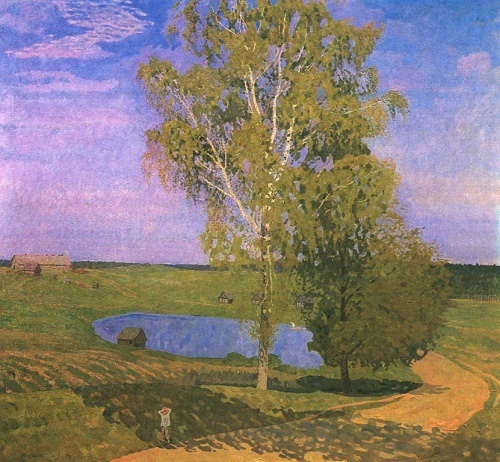 He recommended Sidorov to enter the Moscow Art School, where his teacher was the MV Dobroserdov. Talent of Valentin Sidorov is multifaceted. 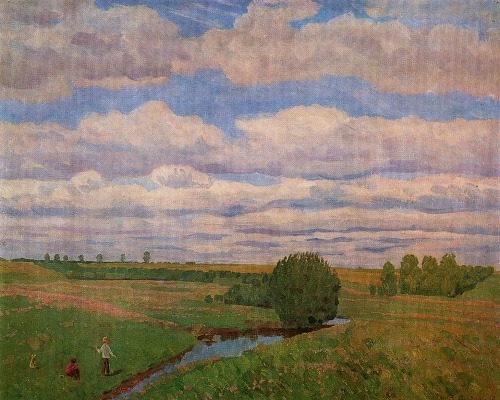 As chairman of the Union of Artists of Russia, he was working hard to preserve and revive the Russian realist school of painting. 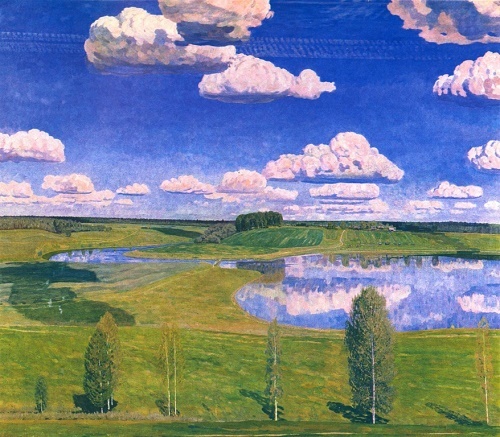 In 1984, he had written the book “The Edge of inspiration” about the Tver earth where Academic Dacha of Ilya Repin is located. In 2001, after the release of the autobiographical novel “Burn burn brightly” Valentin Sidorov was admitted to the Writers’ Union of Russia. Sidorov has made a unique historical discovery. 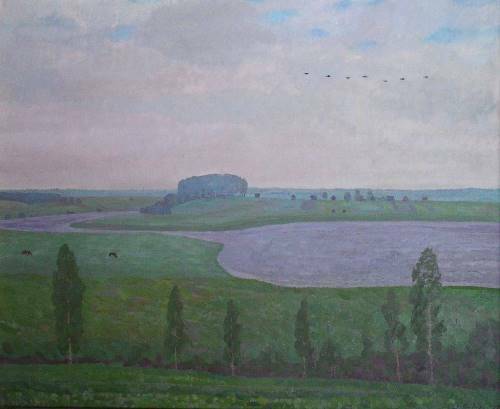 After 20 years of hard work he has found the burial place of the outstanding Russian painter G. Soroka and the circumstances of his death.